While collecting postage stamps can be a source of knowledge and history lessons, remember that it can also work as an investment and can provide a great return of investment. Today, philately is no longer just considered for education; rather this is now seen by many as a profitable hobby. 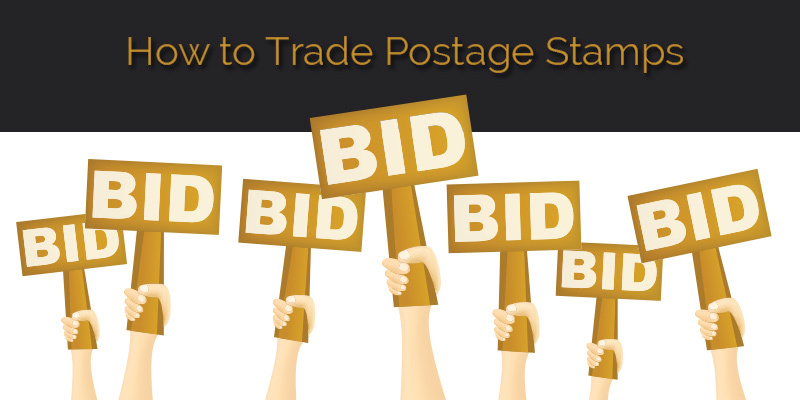 To make this happen, you’ll need to understand the basics of postage stamp trading and collection. Assess the condition of the stamps - One way to become successful in postage stamp trading is to learn how to check the quality and condition of the stamps. Remember, you want to receive stamps in good condition, so learn to send these away in good condition as well. This means staying away from damaged stamps or stained stamps. If possible, lightly cancelled stamps and well-centered. And when it comes to value, you can take advantage of commemorative stamps, or those postage stamps that were printed to commemorate an important event. Another critical advice is to shop and trade in stamps that are rare, instead of investing in definitive stamps that were printed in volume. There are other collectors who value these types of stamps, so it’s important to know or even talk with a prospect before starting the trade. Stay away from cancelled to order or CTOs - Stay away from these postage stamps unless the recipient requests for these items. These are postage stamps that will contain full gum, and were cancelled or withdrawn from the market and were later purchased by collectors. Consider the best practices when trading - While it’s exciting to send stamps to friends, keep in mind that these should not be sent anonymously. In trading, it is important to talk with the other trader, and spell out the details of the trade. And before the actual trading of stamps, it is recommended that you exchange e-mails or letters first. This is one way of knowing the person and the kinds of stamps that he needs. Show respect when sending the stamps, and this can be done by protecting the stamps during transit. The stamps can be protected by an envelope to avoid potential tearing or scratching. You should also maintain a record of the stamps that have been mailed and exchanged. Trading postage stamps requires patience, attention to details and passion for philately. By following these listed recommendations, you can take advantage of the postage stamps, earn from these investments and learn more about different cultures.